We just received these brand new hats this week. 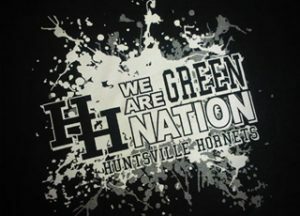 Featuring the “H” logo embroidered on the front, and the Hornet logo embroidered on the back. 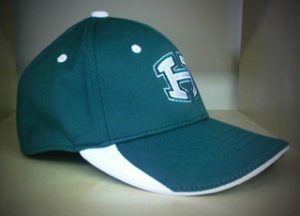 White on green, with white piping along the bill of the hat, then flowing up on top of the bill itself. This hat is guaranteed to sell out fast! 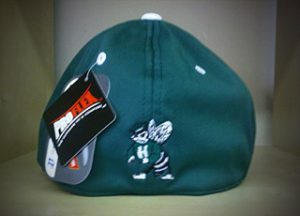 This is a one-of-kind hat, exclusive to Ink Slingers. We put 150% effort into the design of this hat to make sure it would be the best it could be. 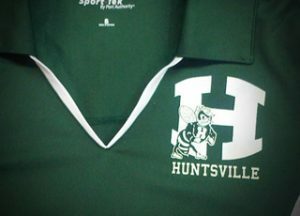 Embroidered right here in Huntsville by Advantage Specialties, we guarantee the quality to be superb. Its all about comfort and fit. One look under the cap and you will see what makes the one-size-fits-all Flexfit® caps so special. They feature a patented technology that weaves spandex into the sweatband and throughout the entire crown, providing a superbly comfortable fit. 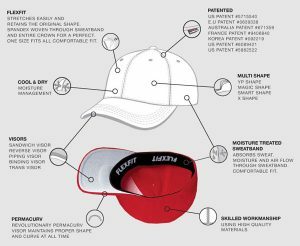 Only the Flexfit® brand features the patented Permacurv® visor that maintains the original shape and curve. When the name is Flexfit, you will not only be choosing a unique cap, you will look great wearing it. What’s So Great About Flexfit®?